Currently, 34 states and 2 territories are represented in the Caucus. The top 4 states with the largest representation are Texas with 13 members; North Carolina, 10 members; Pennsylvania, 6 members; and Florida, 5 members. Arkansas has become the first state with more than one representative to have 100% of its congressional delegation as members of the Caucus. The co-chairs of the Caucus are Rep. Robert Wexler (D-FL/19th), Rep. Ed Whitfield (R-KY/1st) and Rep. Kay Granger (R-TX/12th). 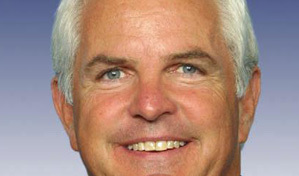 To view the full list of Caucus members, please go to www.tc-america.org. "This milestone is a testament to the engagement of Turkish Americans in the democratic process and the strength of the US-Turkey alliance," said Lincoln McCurdy, President of the Turkish Coalition of America. 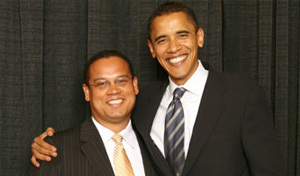 Representative Keith Ellison (D-MN/5th) with President Obama. The goal of the Caucus has been to foster US-Turkish relations by engaging Turkish officials directly including counterparts in the Turkish Grand National Assembly on key issues important to both nations. The Caucus has played an integral role in strengthening the bilateral US-Turkish relationship.